Disclosure: I received product and a gift card to facilitate this post. All opinions expressed are 100% my own. In a house full of picky eaters, there is one type of food we can all agree on – Mexican! There is no complaining about what’s for dinner or pushing food around the plate when it’s Mexican night. The brand, Old El Paso, has been a pantry staple of mine for many years. I can always count on my girls and John eating their delicious tacos or fajitas and even asking for seconds – a rare occasion! 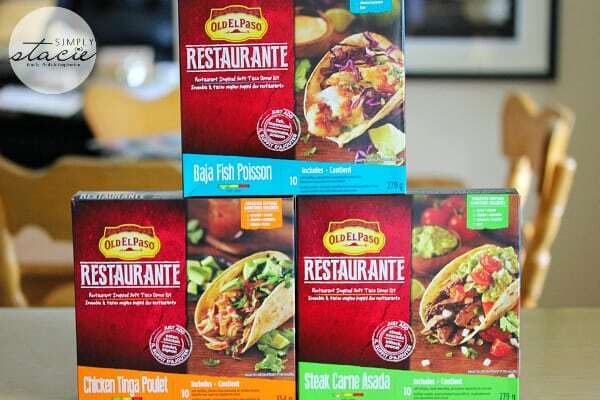 I saw their new premium Restaurante product line at the grocery store recently and was curious to see if these new flavours would be a hit with my family. Now Canadians have the opportunity to make restaurant-style tacos in authentic Mexican flavours right in the comfort of their home. The Old El Paso Restaurante product line up features three new modern Mexican dishes: Baja Fish, Steak Carne Asada and Chicken Tinga. The tough part was deciding which one to try first. 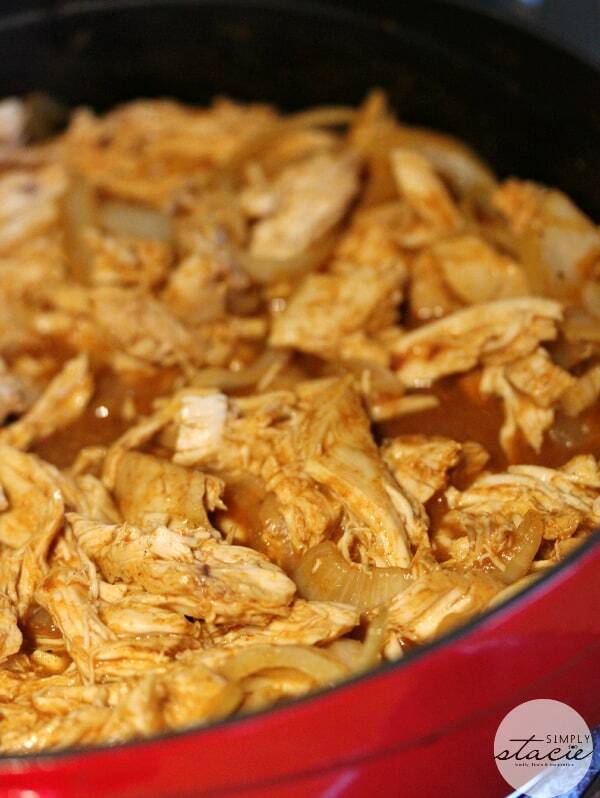 Since I already had chicken breasts and onions, I decided to make Chicken Tinga. The Tinga flavour is a blend of tomatoes, onions, garlic and chipotle chiles – yum! It includes 10 soft tortillas, chicken tinga seasoning mix and chipotle taco sauce. All you need is chicken and onions. They also have suggested avocado, lettuce and cilantro for toppings. I had some fresh cilantro already so I chopped some up to serve with our meal. It was easy to prepare. After heating my thinly sliced onions, chicken breasts, chicken tinga seasoning mix and a cup of water to a boil on the stove, I lowered the heat to simmer and covered. 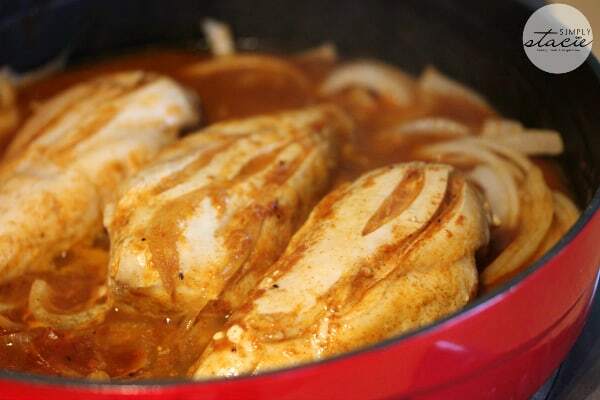 The chicken breasts cook in the seasoning which permeates the flavour throughout. The directions said to make three deep cuts in each chicken breast. It allows the spices to go throughout and makes it easy to shred. The box said the chicken will cook on the stove for 12 to 15 minutes. Make sure you check it with a meat thermometer to make sure it’s cooked to the right temperature. I was flipping my chicken every few minutes so it would cook evenly. Once the chicken was cooked, I removed it from the pan and shredded it with two forks and back it went to simmer for another couple minutes. My kitchen smelled SO GOOD! I couldn’t wait to see how it tasted. I warmed the tortillas in the microwave and then loaded our tacos with the chicken mixture, a sprinkling of cilantro and chipotle taco sauce. It’s on the spicier side so have a glass of water nearby. My mouth was bursting with heat and spices. 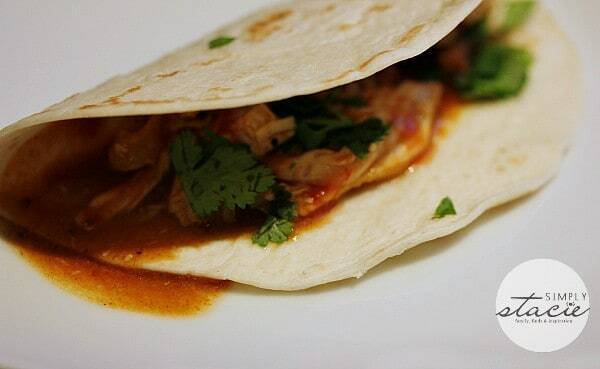 I can see why Chicken Tinga is a popular street food in Mexico – it’s delicious! I’m looking forward to trying out the other two flavours and having more Mexican nights. 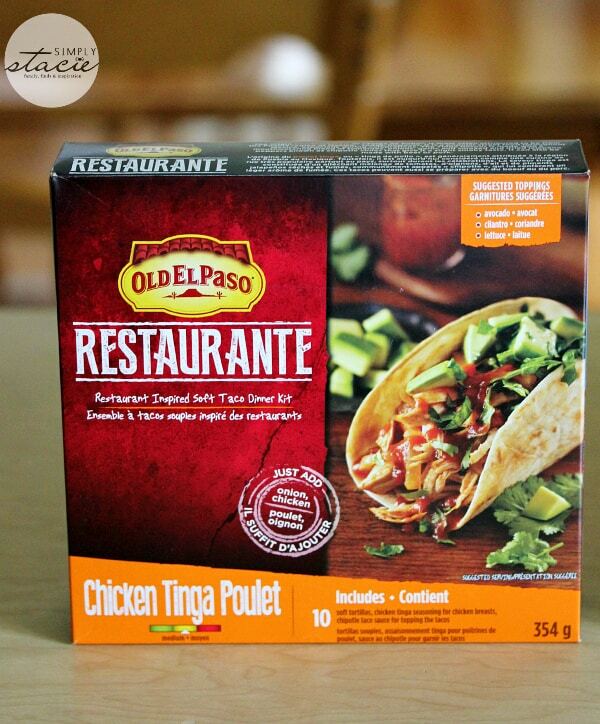 Look for Old El Paso Restaurante kits in your local grocery and give them a try. I can see them easily becoming a regular on our dinner rotation! I have just begun to experiment with Mexican Cooking and the family loves it. I love Mexican food and so does my family. Always a good choice for dinner. Love those Mexican taco salads.